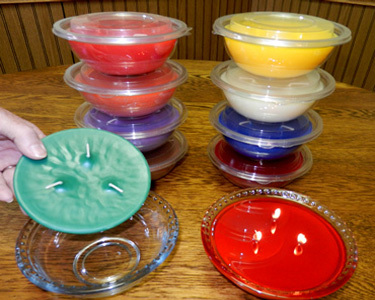 The Wide Mouth on these Bowls put MORE SCENT into the air Quicker. filling a room in minutes... not hours. 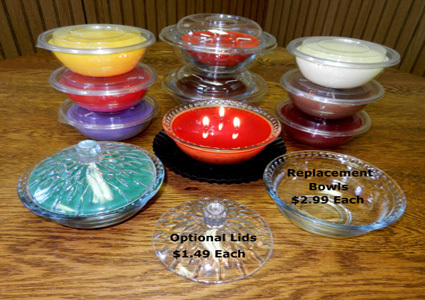 Add some to your order - You will love them. No More Wasted Wax on the sides of Jars. 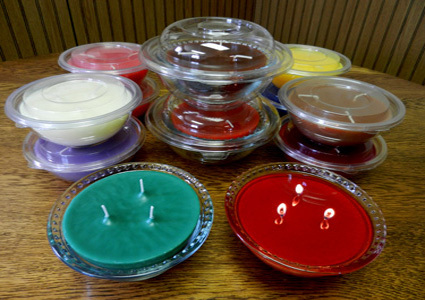 Customers are thrilled with our multi wick candle formula. 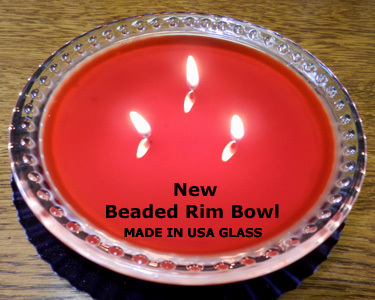 Our NEW Refillable Soy Candle Bowls burn evenly. to create that special mood in your home. Try one... you will not be disappointed. One candle will fill a whole room with it's fragrance. instead of buying glass jars over and over again. all those burned out jars. and I received my order of your Forever Candles and I am sooo impressed. The candles look beautiful and smell better than any candle that I have ever bought, and I've bought a lot of candles. You've got it all over Yankee Candles. Thanks again, Debbie Bxxxxxx"
"Thank you, thank you, thank you for the wonderful candles. after the candle maker I used to buy from closed down. A friend of mine told me about yours and I've placed two orders in two weeks. I ordered the bowl with refills. The most amazing thing is my husband loves your candles, too. He's not one for candles or scents or any kind, so this is a big PLUS!!! Rest assured I will tell everyone I know about these wonderful candles. "I just wanted you to know how very much I have enjoyed your wonderful candles. even though I light at least two or three every night. I'm looking forward to receiving my next order. Congratulations on producing such a great product! - Marci Kxxxxx"